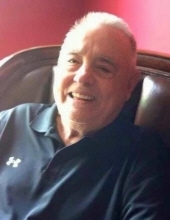 Donald Gabbard, age 85, Hazard, KY passed away on March 20, 2019 in LaFollette, TN. Don was a United States Navy Veteran and a retired supervisor at the Hazard Post Office. He was born on January 31, 1934 to the late Ed Gabbard and the late Rose Napier Hacker. He is also preceded in death by his step-father: Cecil Hacker and one son: Michael Gabbard. He is survived by his wife: Gaye Engle Gabbard; two daughters: Donna Gabbard Napier & Traci Gabbard; one sister: Eva Bolen; brother-in-law: James T. Engle; five grandchildren: Brandi Napier (Justin), Brittany Wells (Jory), Chace Gabbard (Kelly), Kennedy Franklin (Blake) & Jackson Patrick; six great grandchildren: Ty Napier, Memphis Blankenship, Bristol Blankenship, Daxton Gabbard, Willow Wells & Laikely Gabbard along with a host of family & friends. Funeral will be at 2PM Sunday March 24, 2019 at Maggard's Mtn. View Chapel with Rev. Butch Pennington officiating. To send flowers or a remembrance gift to the family of Donald Gabbard, please visit our Tribute Store. "Email Address" would like to share the life celebration of Donald Gabbard. Click on the "link" to go to share a favorite memory or leave a condolence message for the family.